11) Disney Dollars -- You might still see a Disney Dollar here and there, but they’re no longer printed or sold in the parks or at Disney Stores. But you may remember buying Disney Dollars and using them for purchases in the parks—it was a big part of the Disney World experience. 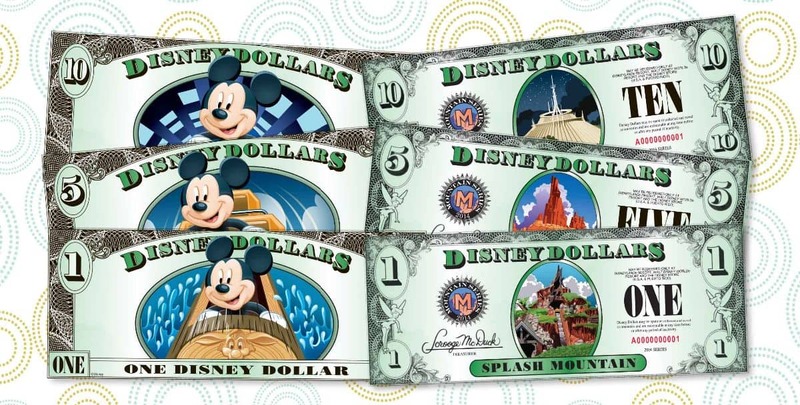 The very first Disney Dollars were issued in May of 1987 in denominations of $1 and $5. Three years later, Disney added the $10 denomination. Each Disney dollar was about the same size as U.S. currency—but instead of presidents, the bills featured beloved Disney characters or Disney park icons (i.e., Cinderella Castle). There was one series (Series A) for Disneyland and one series (Series D) for Disney World. Later, a Series T was added for bills sold in Disney stores across the country. And though the bills sold well and Guests enjoyed using them in the parks or keeping them as souvenirs, Disney decided in 2016 that they would cease printing the bills. Don’t worry though—if you have some Disney currency in your wallet, it’s still “legal tender” in the parks. But when they’re gone, they’re gone, so you might consider holding on to at least one of them!